You’ve probably heard of the Internet of Things (IoT)—that magical network comprising billions of connected devices that stretches across the world, providing data and insights that we only dreamed of just a few years ago. The total value originally placed on the Internet of Things was $8 trillion, spread across various aspects of business like logistics, employee productivity, and enhanced customer experience. If your business isn’t taking advantage of this resource, it’s time to get on board. And if you’ve been making use of the IoT and you’re not seeing the results you expected, it’s time to tweak your strategy. Read on to find out exactly how the IoT can boost your company’s productivity and efficiency. The data gathered from the IoT, often called “big data” due to its sheer volume, can be put to an incredible number of uses. It’s especially handy for helping fine-tune day-to-day operations and make smarter use of employees’ time and energy. For example, some companies are using smart sensors throughout their buildings to determine when certain rooms are most occupied and where employees spend significant chunks of their time. This information can then be used to schedule meetings more efficiently, letting schedulers choose rooms and times where people will likely be nearby anyway. This process can minimize the disruptive effect meetings can have on workers’ productivity. Parikshit Joshi of Simform, an IoT and big data company, says, “For smart offices, we ourselves have used the IoT to detect the occupancy of meeting rooms and other common areas. This has helped us greatly improve work efficiency.” And greater efficiency means a better bottom line. AI assistants like Alexa and Siri are getting smarter by constantly learning from your use and habits. This process exemplifies how big data can be implemented, but the devices themselves can also become part of the IoT to improve productivity. 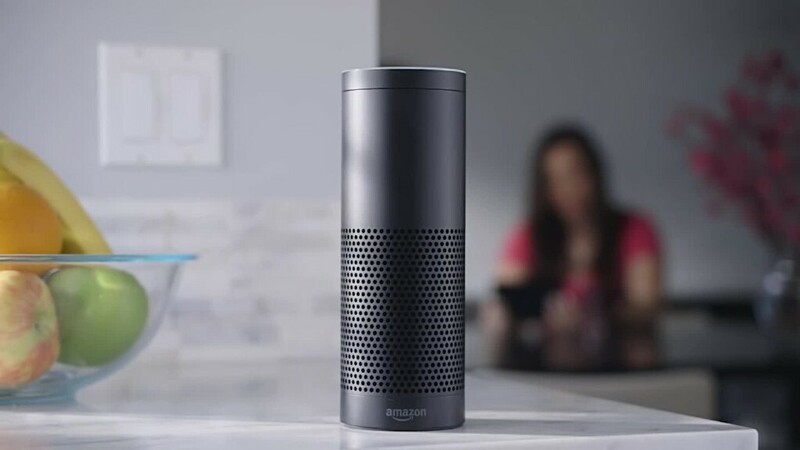 These devices are often thought of as consumer products, but there’s no reason why workers can’t stick the relatively affordable Echo Dot on their desks and have it act like a constantly improving personal secretary. In addition to improving the employees’ efficiency, the IoT and its data-gathering capabilities can help businesses lower overhead and minimize unnecessary expenses. One great example is the use of smart heating and lighting systems. In fact, devices like the Nest Thermostat and similar systems can help minimize energy expenditure from overuse of air conditioning and heating. Additionally, smart lighting can detect when people are in a room and illuminate the space automatically so you don’t waste energy. As any business owner knows, these little cost savings can really add up over the course of a year, especially if you’re heating, cooling, and lighting a large building. The IoT allows you to track the transport and delivery of goods, giving you precise information on shipment arrival times and conditions. This invaluable information is vital for companies that move perishable goods like produce. DHL and Cisco published a report in 2015 estimating a whopping $1.9 trillion boost to supply chain and logistics over the next ten years thanks to increased efficiency, connection, and tracking from the IoT. In addition to transportation, smart tags and sensors can help keep track of inventory levels in real time and even track wherein a warehouse or retail store an item is. This system allows for more efficient stocking and retrieval, which can boost your company’s overhead. More precise inventory tracking also means greater ability to fine-tune inventory levels, reduce over- and under-ordering, and ensure the right products are in stock to maximize profits and minimize losses. The IoT offers businesses an amazing new way to interact with their customers, and the beauty is that much of this interaction can be digitized and automated. For example, Johnnie Walker, one of the most popular brands of whisky in the world, is using the IoT to boost customer engagement by embedding a printed sensor tag in the labels of its whisky bottles. The sensor can detect whether a bottle has been opened or if the seal is broken, and it can also communicate with nearby smartphones using Near Field Communication (NFC). Then, it sends consumers personalized information directly to their phones. Going a step further, when the sensor detects the bottle has been opened, it can inform the company, which can then shift communications from help with purchasing decisions to help with drink recipes or tips to better enjoy the product. All in all, the IoT and these sensors allow Johnnie Walker to maximize its advertising efficiency. Another killer example of this sort of smart technology use comes from Disney World and its MagicBands. These wearable devices allow guests to check into the park, get food, and access rides without needing to carry around tickets, paper, or other easily-lost items. Not only is this a huge convenience for park visitors but it also allows Disney to track guest movement throughout the park and gather data on popular rides. That information can then be used to more efficiently focus resources on improving the park going forward. The potential boosts to productivity, efficiency, and customer engagement with the Internet of Things are tremendous, and as this technology becomes more affordable and widely available, every business can take advantage of it. If you’re not making use of the IoT in your business, maybe today is the day to start.